Do a lot of reading about where you're going on an upcoming vacation? I always want to absorb as much as possible about a place I'm getting ready to visit for the first time. It doesn't matter if I'm traveling abroad, across country, or within my own state. 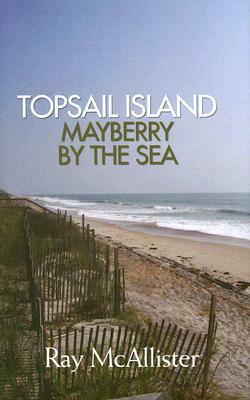 The first time we went to Topsail Island - many years ago - I picked up Ray McAllister's "Topsail Island, Mayberry by the Sea." I was surprised at all there was to learn about this little island. Only 26 miles long, only 200 yards wide in some places, this little 15 square mile island was once the home of "Operation Bumblebee," a top secret U. S. government missile program named for the insect that, aerodynamically, shouldn't be able to fly, but does. That was just one little piece of interesting history I learned before visiting and falling in love with the little far from fancy place we now visit at least once a year. I've never been to New Orleans. novel is "Jitterbug Perfume." Tom Robbins and New Orleans go together like eggs and bacon - a gloriously and wildly perfect fit. In homage to Mr. Robbins, who I adore, I snatched the word "Jitterbug" to use as the name of a voodoo shop in New Orleans in a short story I wrote recently. One you'll be able to read in the Blood on the Bayou Bouchercon Anthology. When I learned one of my favorite events in the whole world was going to be held in New Orleans it made it pretty easy for me to decide the time was right. Time to go. I get to play with some of my favorite peeps on God's green earth in one of the most fascinating cities in the world. These are some of the books I've picked up over the past several months to help school myself in "things New Orleans." And I'm still accepting suggestions, of course! So. I'm curious. How many of you, Dear Reds, share this little habit of reading every tidbit you can lay your hands on about a place you're going to visit? I'm sure that's a wonderful idea, and one with a lot of merit, but . . . around here there's no research, no reading. I just pack up and go; I figure I'll discover all that good stuff about wherever I'm going once I get there . . . .
Kaye, I do like to read about someplace before I visit. So many places that I still want to visit I've been introduced to through fiction and now have to read up on some travel information to go with it. I'm hoping to go to Scotland and England one of these years very soon, and I have been reading up on some areas of interest for a while now. Your Paris adventure should be amazing, another place I still need to go. Oh, and we will have so much fun in New Orleans. 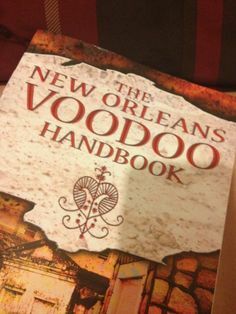 I love the voodoo book you read and would like to take a look at that one myself. I also want to take a look at Heather Graham's e-book she's made available. I have it on my Kindle. And, I'm sure I'll get hold of a Lonely Planet and DK book on New Orleans, too. Of course, remember that I'm relying on you to get me to the ice cream places and the coffee shops (iced and hot). I need to look up some cemetery information, too, as I love cemeteries, and how could I not want to visit one in New Orleans. Oh, and speaking of fiction as a guide to places. I keep pushing for a Deborah Crombie tour of the different areas of London featured in her Duncan and Gemma series. Debs, have you got started on that yet? Of course, I'd also love tours based on the locations in all the other Reds authors. Just think of it--Boston, the Adirondacks, Key West, Hollywood/LA, historical WWII sites of London (maybe combine Susan's with Debs'), New York, historical New York, English sites of Georgie (again, could combine and have a Debs, Susan, and Rhys tour). Oh, and we could combine Hank, Hallie, Julia, and Rhys for New York and Boston tour. Work with me here, Reds. Joan, I'm a combo of you and Kaye, with a little more (okay, a lot more) of what I call serendipity in my travel, just pack and go. You can call it laziness if you want, but I like not have preconceived ideas before I get someplace. Right this minute I'm having breakfast in Florence, where I've been before, getting ready to travel to three new countries for me: Austria, Germany and the Czech Republic. Of course I already know a great deal about these places; I read, after all. But I'm excited to experience the flavor of each place, the sensual differences that make them unique. I won't be in any place a long enough time to really know it, though. Kaye, I can't wait to hear what your plans to take N'Awlins by storm are. I'm sure you will have a blast. Look up Pirate's Alley and absinthe. A recent acquaintance, on the strength of a single day in a new place, pronounced the little she observed as gospel about everyone there. That befuddles me. I have to say, it depends. If I'm going for fun, yes, I do pick up at least guidebooks and I always do walking tours (sometimes only self-guided) while I am there. But if it's for business, not so much until I get there when I hit the nearest bookstore and stock up on books about the history of the immediate area I'm in. This addiction often leads to pleasure trips. I like to do research on the places I'm planning to visit. The internet is a great place to have travel information land in your email box every week. I'm too excited about going to New Orleans hanging out with my peeps. I make a list of all the places I want to visit, knowing that I'll only get to one-quarter of the places, but it's the thought that I can check them out. I do something a little different, not always, but often. I am a voracious reader. Retirement gives me all the time for my favorite occupation, 3-5 books a week. When I get into a series for instance, I want to visit the setting. So a great many vacations are planned just around that. This all started years ago when we were thinking about going to England. Julie asked me where I would like to go, other that London of course. My answer? St. Mary Mead! She did a web search and discovered that the PBS Miss Marple series was filmed in Nether Wallop, as opposed to Over Wallop and Middle Wallop. Fortunately it wasn't far from my other venue choice, Old Sarum. It was such fun, and I'm pretty sure I saw Miss Marple going into one of the shops. I stood on the castle wall at Old Sarum and saw William the Conqueror and his army camping below me. I think the year was 1066. Last year I requested a trip to the Perigord, having become a fan of Martin Walker and his Inspector Bruno. This might be my favorite trip ever. We drove all over the Dordogne, stayed in Sarlat-la-Caneda, and found tiny villages, amazing food, even more amazing wines,and definitely met Bruno when we flagged down a police car to ask for directions. Paris? Hooray! I like picking up a guidebook and/or doing research online to plan for trips. I like to have a general sense of geography and history (and also how the public transportation, etc. works). Definitely looking forward to Bouchercon '16 in New Orleans! Though I did read midnight in the garden of good and evil before going to Savannah. I usually get a guidebook or two, maps (gotta have maps) and some restaurant recommendations. What I love is to do research (in depth) about a place I'm going to write about. ah, what a glorious mix we are! As it should be. And yes, I am always up for discovering fun places. No matter how much you read about a city, there are always, always, surprises to be had and out of the way places to search out. I love that. I'm so excited about being able to explore the city of New Orleans with some of my favorite people in the world I can hardly stand it. Kathy? Dru? Put on your walking shoes girls! I love the idea of a Deborah Crombie tour! I'd also love a Linda Fairstein NYC tour. Touring spots from your favorite novels is something I find very appealing. Ann, I'm with you - Three Pines would be a lovely trip. I might never leave. Maps! Judy, I agree Gotta have maps!! I'm one of those who loves them and am especially wild about them in novels. Karen, your trip sounds divine. I hope you'll write extensively about it when you return. I do reserch before I travel. Since I canwalk less than I used to, I want to make sure I see the one thing that really grabs me. Also have been researching food more on recent trips. So thanks for the recommendation of Eat dat. Just requested it from the library. I always do research beforehand since I usually travel alone. I used to borrow/buy guidebooks, but these days, the Internet is go-to method/source to find great places to eat, drink and visit. This will be my first time in New Orleans (I'm staying there 10 days), so I am excited to experience plenty of sights and sounds in NOLA and also attend Bouchercon! Some research, some serendipity. Some selections while I'm there. I haven't done a lot of research on New Orleans. I have a friend returning tomorrow from a week there, and I'm going to see what she recommends. But, I researched when I took family to NYC. And, my sister, brother-in-law, and I are heading to Ireland in October. I've read lots of books set there, listened to music (of course). I've picked places I definitely want to see, but my brother-in-law has been there multiple times, so we'll see what he suggests. And, of course, we'll enjoy evenings and not plan much, while hoping for fun music evenings. Lois - you're welcome. It's terrific, I think! Grace - I will look for you in New Orleans. It's going to be one glorious Bouchercon, I do believe. Lesa, I can't wait to hear some of the places your friend will be sharing with you! And I can't wait to do some New Orleans exploring with you, dear roomie. Oh yes, I do this Kaye! You might want to add Julia Reed's THE HOUSE ON FIRST STREET to your New Orleans pile. She's a very funny southern food writer who bought a home in New Orleans a month before Katrina hit. This is that story. And for Paris (lucky girl), make sure you are subscribed to David Lebovitz's blog. He's an American former pastry chef living in Paris--he'll tell you where to eat and what! And check out A Writer's Paris by Eric Maisel. Lesa, the Irish trip sounds like great fun! I'm a mix! I regard books, before we go someplace like Paris or London, just to make sure I'm not missing anything important, and it is much more enriching to know the inside scoop when you're at a new place. So hey, Kaye! Before we head to New Orleans, do a blog later about what you discovered! Lucy/Roberta - Adding Julia Reed's THE HOUSE ON FIRST STREET to my list, thank you! It sounds like my cup of tea! And so does A Writer's Paris by Eric Maisel. And David Lebovitz I love! I have him on my Kindle and yes, I do read his blog. A must read for anyone planning a trip to Paris - I agree. Hank, I love this about your friends - yes, a fabulously fun mix of fact and fiction - I love that! A discovery blog before we get to New Orleans? I can do that, yes! Lucy, those books are going on my list, too. Kaye, I do a bit of both. I like to know some history, and a sense of geography, and I especially want to know about FOOD. As for the Duncan and Gemma tour, there are quite a few readers who have done their own, which I think is huge fun. I love hearing where they went and what they liked. Debs - HAPPY BIRTHDAY, Sweetie!! I read a lot about Ireland before I go. When I'm there, I go into every bookstore I see and buy any book I don't already have because one of the reasons for the trip is to spread the wealth. It's our Celtic duty. Before I went to Berkshires, I did a lot of googling to make more efficient use of my time. It paid off. I like to read guidebooks, if only to pinpoint museums and other places I might find interesting, but mostly I rely on serendipity. When I get to a new city, I like to hit the streets and just see what's out there. My favorite thing is to find out where the locals go, because they avoid all the touristy stuff and head for the best pizza parlors and bars, the most interesting shops, and all the coolest neighborhoods. I loved it when a musician friend took me on a tour of his old neighborhood in San Antonio. It was far from the Riverwalk, but had lots of fabulous old houses and great Tex-Mex restaurants. Ditto with a friend in Portland, Oregon, who took me to exactly zero of the places I'd marked out from my guidebooks. We had a blast. "Spread the wealth." I love the way you think, Keenan! One of my favorite things to do when traveling is to find a piece of jewelry made by a local artisan. That's a good way to help the local economy, I think. Gigi - YES! Don Barley and I always ask at the front desk of the hotel where they go for the best pizza, steak, etc. The discussions that they can get into amongst themselves are worth a million. And we always eat well based on their suggestions. New Orleas, I don't think, will be problematic when it comes to finding great food. When Cindy and I planned our fifty state tours or our forays into Europe, we always did a good bit of research to make sure we visited our must-see places. But we also weren't so fixed to an itinerary that we'd forego a little surprise now and then. Doing that we discovered a little BBQ place called Sparky's Barbecue in Arkansas where the food was fantastic , they served us on styrofoam plates with plastic ware, they treated us like gold, and they sent us home with a copy of their menu for a keepsake. The main thing we discovered about our travels that came back to us again and again was that the people we met were often what made our trips special. In SF, in a hole-in-the-wall Chinese Restaurant, we met an imperious waiter who refused to let us both order a chicken dish, but then gave us a little smile as we walked out the door. In North Dakota, when we stopped in a little diner that was the only pit stop we could find to fuel up and empty out, we entered to find a line of men in orange suits lined up at the counter. We wondered if they were a prison work crew. The waitress, who had maybe a dozen teeth in her mouth, when we responded that we were from Maryland, was so tickled that we would travel all that way "just to see us? ", announced us to the entire crowd, including the orange-suited utility crew, and insisted we have a piece of pie on the house. I'm looking forward to the people I'll see in New Orleans, those I know and those I'll meet only once for a fleeting few moments. Kaye, I'm commenting again because I looked up the Eat Dat and Fear Dat books in your stack. Oh my, girl! I will have to look at those. To further entice others to look at them, let me give their complete titles: Eat Dat New Orleans: A Guide to the Unique Food Culture of the Crescent City (Up-Dat-ed Edition) and Fear Dat New Orleans: A Guide to the Voodoo, Vampires, Graveyards & Ghosts of the Crescent City. Ann Rice does the Forward in Fear Dat (of course). There is another one in this series called Hear Dat New Orleans: A Guide to the Rich Musical Heritage & Lively Current Scene. All three are updated in 2015, with the Hear Dat book just coming out in April of this year. Looks like I have some great reading to do. Thanks, Kaye! David, I love these stories. The best thing to bring home from our travels are the memories and the stories. Those are the things that live in our hearts forever. We can take them out whenever we want and be transported right back. Kathy - I didn't know about the "Hear Dat" book!!! You two. I can't wait to spend time with you both in New Orleans. It is going to be grand.